If you are one of the thousands of users that visited the new Live chess platform, you certainly have noticed the great commentary contribution by NM Pete Karagianis. Since the Dortmund 2009 event he has joined the commentators team on Chessdom.com and has brought chess games of highest level to an interesting and easy to follow style for the audience. NM Pete Karagianis, or “Coach K,” is an experienced Chess Instructor in both the camp, club lecture, classroom, or one-on-one setting. His scholastic students have competed successfully in national and local tournaments and they consistently rank in the top 50 or higher nationally for their age group. His adult students range from the rating of 800 to expert strength and have all shown marked improvement even after only a few lessons. 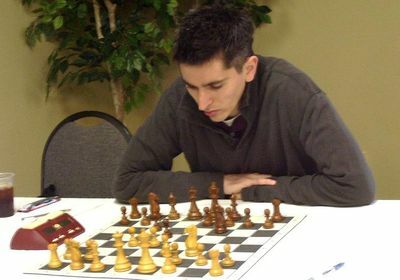 Aside from his commentary for Chessdom.com he also writes regularly for the En Passant, the Illinois Chess Bulletin, Your Move, and various other State and local outlets. Pete has founded several clubs and camps, including the Peoria Academy Chess Camp, which is still held every summer at the Peoria Academy, the Iowa Chess Center, and the Frederiksen Chess Club, in Ames, Iowa, which produced a State Championship-winning team in 2002. Today NM Pete Karagianis, together with GM Bauer, Jason Juett, and IM Perunovic, will be following for you ALL GAMES from round 3 of the Tal Memorial, you will see him tomorrow in the Live arena, or you can reach him at Karagianis[at]gmail.com for any correspondence.